We have a great opportunity for you to Grow your Involvement with AzPPA! Become an Official Sponsor for an entire Product Category or choose the Level of Sponsorship that works best for you! Need more info?? Contact Marc Hawkins (marc@hp2promo.com), our Sponsorship Chair. Select Your Sponsorship level when you sign up for Membership! 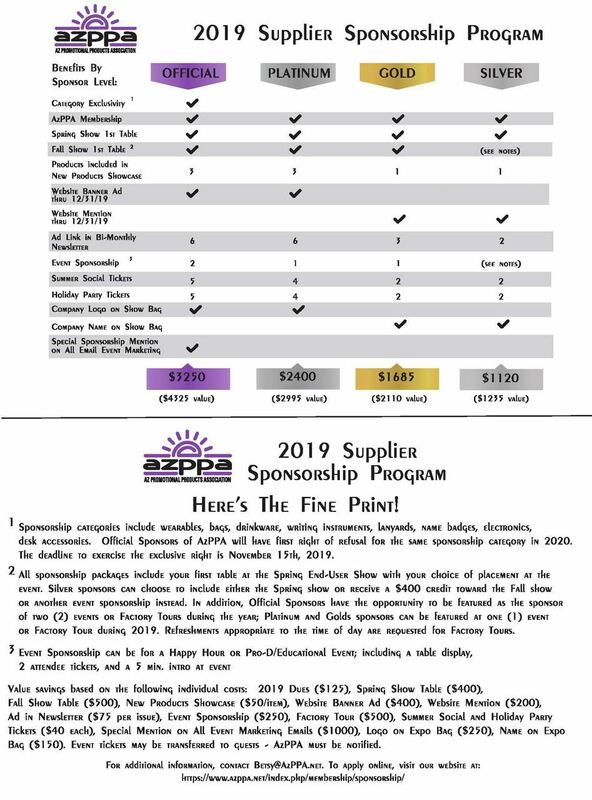 Or, if you've already paid for membership, contact Betsy Andrade, betsy@azppa.net for a credit toward your sponsorship fee!